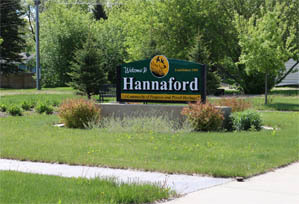 The Hannaford Business Center opened in June of 2010 in the north wing of the Community Center. Businesses in this wing include the Hannaford Economic and Community Development Corporation, Advantage Insurance, Goplen Ag Services, Trinity Parish, and the Hannaford Fitness Center. There are two office suites available for rent in the Hannaford Business Center. The suites are approximately 750 square feet and the rental fee is $330 per month. If you are interested, please call 701.769.2218. Community & Business Center Brochure coming soon!